Are you interested in learning more about where you live or the property you own? This hour-long, hands-on workshop will guide you through a variety of online resources that will help you research your home from the comfort of your home. Discover when your building was built and by whom. Find out who lived in your house and how your neighborhood has changed. We will provide laptops. Registration is mandatory. We are offering two classes – but you only need to register for one! Boston GLF’s 10-Point Demands Presented to the Democratic National Convention in Miami Beach, July 1972. Found in “Biographies, Shively, Charles,” Cambridge Subject Files, 1817-Present. Boston’s Gay Liberation Front (GLF) asked the above 10 demands be incorporated into the 1972 Democratic Party Platform. The party didn’t respond to what must have been a radical request. In fact the platform didn’t include anything on gay rights. The only point that Boston GLF and the Democratic Party Platform agreed on was ending the war in Vietnam. You can read the official platform, adopted on July 10, 1972, here. A native of Cambridge, Mass., Koocher served on the Cambridge School Committee from 1974-1985. He was the budget chair during the implementation of Proposition 2 1/2 and was actively engaged in the city’s multi-year desegregation effort. Koocher was the founding host of Cambridge InsideOut, a weekly TV show on CCTV focusing on current events that aired from 1989-2000. He has written extensively on the political history of Cambridge. Koocher is currently the executive director of the Massachusetts Association of School Committees. Segat was a member of the Cambridge School Committee from 1996-2001. She was the first Hispanic elected official in Cambridge to serve a full term and win re-election. Segat was the founding chair of the Massachusetts Commission on the Status of Women, on which she served from 1999-2008. A longtime union official, Segat was the President of the Local Service Employees International Union (SEIU) from 2003-2009. In 2013, she cofounded CCTV’s Cambridge InsideOut, a remake of Glenn Koocher’s original TV show, focusing on Cambridge politics. Segat cohosts the biannual Cambridge municipal election night on CCTV. She is currently the Chief of Staff at the Massachusetts College of Art and Design. Winters is the founding editor of the Cambridge Civic Journal, an online news source that monitors the Cambridge political scene. Starting in 1989, he spearheaded the campaign to bring curbside recycling to Cambridge. He ran for City Council several times in the 1990’s. Since 2013 he has been the co-host of CCTV’s Cambridge InsideOut, a remake of Glenn Koocher’s original TV show, focusing on Cambridge politics. Currently, Winters is a Lecturer in Mathematics at MIT and the Harvard Extension School. The earliest known view of Harvard showing its first complete quadrangle, by William Burgess, 1726, courtesy of Building Old Cambridge by Susan E. Maycock and Charles M. Sullivan, MIT Press, 2016, p. 757. This tour is part of the City of Cambridge’s Walking Series. 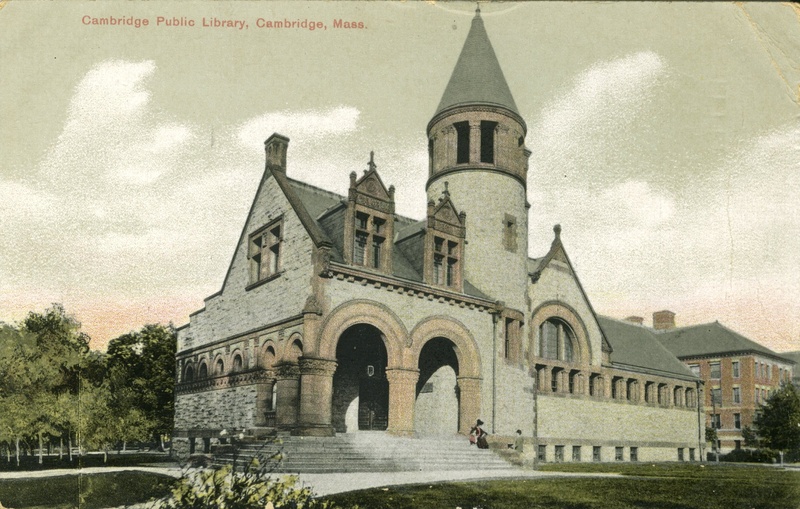 Cambridge City Hall, 795 Massachusetts Ave.